Seattle Family Law Frequently Asked Questions | de Maar Law As a beverage distributor, what can I do if a supplier moves to a new distributor? Some people mistakenly believe that divorce mediation is an attempt to resolve marital issues so that couples can reconcile and avoid a divorce. Instead, mediation is actually a process that gets people closer to ending the marriage and finalizing the divorce. 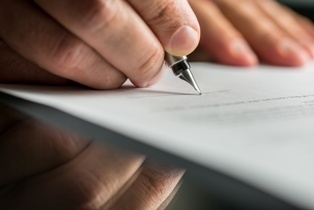 In mediation, before dissolution papers can be signed, both parties must agree to all the terms of the divorce. Mediation is a way for couples to discuss the issues and agree on terms without a judge resolving the disputes of the parties. It is a good option for many couples and satisfies the alternative dispute requirement (ADR) in King and Snohomish counties. What Kinds of Issues Can Be Settled Through Mediation? Separation of assets. Deciding on what will happen to the family home, who will get which car, how savings and investments will be fairly divided, and who should get property with sentimental value are all goals of mediation. Parenting plans. You and your spouse are the most qualified people to determine what is best for your children. When you can sit down with a mediator and decide where the children should live, what the visitation schedule should be, and who will be responsible for which parenting responsibilities, you can save a lot of time, money, and heartache. Spousal support. While there are state laws regarding spousal support, a mediator can work with you to decide what’s fair and to creatively compensate a spouse if one spouse is adamantly opposed to paying spousal support. Child support. Washington State has extensive formulas and criteria for determining child support. Despite the significant law in this area, incomes and credits are often in dispute. Mediation is an excellent way to come to the settlement of these disputes. Other issues. Any other decisions that need to be made that may be unique to your situation—such as custody of pets, use of recreational equipment or vacation homes, etc.—can be addressed during mediation as well. Without mediation—or when a mediation attempt fails—couples must go before a judge to make these decisions for them. In some cases, neither party is totally happy with a judge’s ruling on these deeply personal issues, so it is always in your best interest to try to make mediation work. Any couple who wishes to avoid a contentious court battle can benefit from mediation. As long as communication has not completely broken down between the parties, mediation can be very successful. Contact our Bellevue office to learn more about our mediation services. Couples who are experiencing marital strife sometimes decide to live apart for a while in a trial separation. While this can be a good idea for some couples, it is not required before you file for divorce and it is not the same as becoming legally separated. The process for legal separation is similar to the process for a divorce, but there are some key differences. The key difference between a legal separation and a divorce is that couples who are legally separated are not permitted to remarry. In this way, a separation does not allow you to fully move on with your life. Even with the legal documents, you are still married. Also, when you file for divorce, you must wait 90 days for the divorce to become final. If you are legally separated and decide to go ahead and get divorced, you must wait six months. However, if you decide to reconcile, a legal separation can be undone, whereas a divorce cannot be reversed. There are several reasons a couple might opt for a legal separation rather than a divorce. If the pair is opposed to divorce for religious reasons, a legal separation allows them to divide their households and plan for the children without technically being divorced. Some couples use it as a trial separation with the hopes that they will be able to reconcile but want to have legally binding child custody and child support plans in place during the process. Some older couples decide they no longer want to live together, but one spouse is dependent on the other’s health insurance. Some insurance policies allow a couple who is legally separated to remain on each other’s policies, but if this is your plan, check with the insurance company first. Should My Spouse and I Try Legal Separation? This is a very personal question that should be discussed with your attorney. A legal separation is not required before a divorce, so it’s certainly not something you have to go through. The process is not really any easier than a divorce as you must divide community property, make a parenting plan, and you may pay spousal support and child support. While it can be reversed, the large majority of couples who do it end up divorcing in the end. The family law attorneys at de Maar Law can discuss these options with you and help you make the best decision for you and your children. Call us today to schedule a consultation. How will a judge determine child support payments in Washington State? The most difficult part of a divorce is making sure your children are exposed to as little of the conflict as possible and that they will be cared for as they always have been. Part of this process is determining residential time (custody) arrangements and the other part is determining child support payments. In Washington, it is a fairly straightforward process, but you want to be sure that any special concerns you have are considered. When you work with de Maar Law, you can be sure we always have your best interests in mind. Income. The total net income of each spouse—including wages, interest, income property, etc.—will be the most important factor considered. The higher the income, the higher the payments will be. Some of your expenses will also be considered, such as retirement contributions, as well as any costs you solely pay for the children, such as health insurance. Cost of raising a child. The number of children involved and their ages will also play a key role in determining child support. Childrearing costs include daycare, private school, athletic or other activities, travel between parents, and more. As the children get older, support will be increased. Past standard of care. As much as possible, your children should have access to the same things they had before the divorce, including the neighborhood they live in, the childcare they had, the schools they attend, and their out-of-school activities. Once a judge takes a look at all of these factors, he or she will consult Washington’s Child Support Economic Table to determine the monthly payment that should be made to the custodial parent. Even though this process seems pretty standardized, it’s important that you have an advocate in your corner arguing for your best interests. An ex-spouse may argue to exclude income from their support or ask for invalid credits. On the other hand, you may be declaring too much income or not taking advantage of credits you are entitled to take to offset your support obligation. Our experienced divorce attorneys will fight for you and your children. Call us today to learn more about our services.